Clinipath (M) Sdn. Bhd. is a clinical pathology laboratory that offers a complete range of services with over 1,200 tests generally under immunology, microbiology, histopathology, haematology, cytology and bio-chemistry at a competitive pricing throughout Malaysia. Every month hundreds of doctors in clinics, medical centres, private hospitals, government hospitals and private laboratories access our services to help diagnose, treat and monitor their patients' health. We have been present in the Malaysian pathology scene for over 20 years. Today we are a leading pathology company with the country’s finest pathologists and 200 employees spread out across our nationwide network of 19 branches. 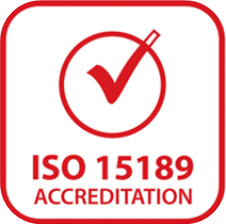 We are MS ISO 15189 certified, which is the gold standard for pathology laboratories around the world. We also participate in various international quality assurance programmes to ensure Clinipath remains in the top tier of the pathology industry. We ensure that our customers are equipped with the latest in pathology testing services as we understand that 21st Century pathology is a critical gateway to precision medicine and preventive healthcare. Through improved testing accuracy and more comprehensive information we help doctors provide more effective and focussed treatments to their patients. In addition to our MS ISO 15189 accreditation, which we received in 2010, we also participate in various quality assurance programmes to ensure that Clinipath remains in the top tier of the pathology industry. 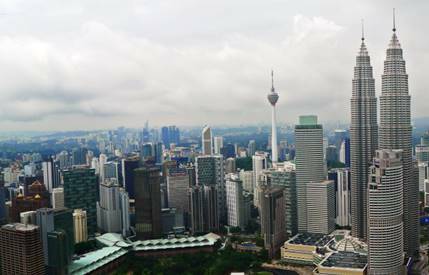 Clinipath has a nationwide network of 19 branches and growing on both sides of the South China Sea, covering all corners of Malaysia. We provide general practitioners and specialists a whole array of pathology tests to take care of every diagnostic need. We collect samples directly from your clinic and have fast turnaround times. Clinipath has the expertise and capacity to manage and operate large scale pathology operations as required by hospitals and medical centres of various sizes. This allows client hospitals to concentrate vital resources on healthcare and treatment of patients while we manage their in-house pathology needs. We partner with various corporate entities to offer bespoke test packages and services according to their needs. 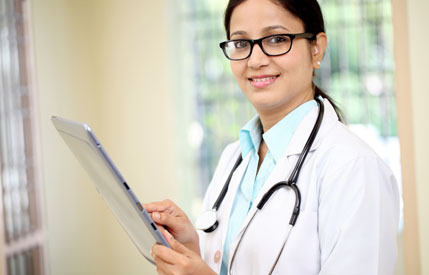 In contrast with the current predominant use of pathology testing by doctors for sick patients, there is a growing demand for the use of pathology testing for preventive care among healthy individuals. New screening and diagnostic technologies support the growing demand for preventive care. This includes genetic profiling for, among other things, disease risk, nutrition management, physical performance, and risks for adverse drug reactions. For more information, visit www.dtect.com. Please download the forms below for use at your convenience. You may pass them to our courier riders when they visit your clinic for sample collection. Alternatively, for further information please call our Customer Service team at 03-3342 2828. Job openings available at multiple locations in Klang Valley. Perform routine lab test procedures as outlined by the lab standard operating procedures. Adhere and adapt to quality assurance and quality control standards in running all testing. Maintain and operate lab equipment; able to detect malfunctions and troubleshoot. Participate in established TQM activities; follow protocols for running and documenting control values. Work closely with all lab personnel to ensure timely client service and accurate test results. Maintain a positive working relationship with other lab personnel and clients. Comply with lab safety procedures. 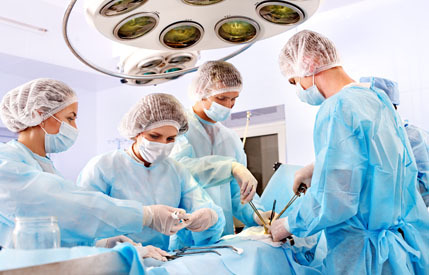 Preserve and protect patient and client confidentiality at all times. Must possess at least Diploma in Medical Science, Biochemistry, or its equivalent. Require at least 2 years of working experience in the related field. Previously specialised in biochemistry, virology, haematology, urine analysis and blood banking. Priority given to those who have experience in handling PCR machine and report validation. Meticulous and conscientious especially in validating report. Familiar with ISO 15189 documentation. Able to work on shift hours. Computer literate and skills in lab info systems. Phlebotomy skills will be an added advantage. Interested? Please email CV to careers@clinipath.com.my. Sales : Achieve monthly sales targets by conducting sales visits to present pathology testing services, establish business with new clients, and maintain rapport with existing clients. Support sales events and campaigns where required. Planning : Plan, develop and execute sales strategies in support of sales goals. Reporting : Maintain accurate records, review sales performance, attend progress review meetings, and attend sales training workshops. Performance-based commissions, annual performance incentive. EPF/SOCSO and outpatient medical coverage. Must possess at least Bachelor's Degree (min : 3.0 CGPA) in Business Studies/Administration/ Management/Marketing, Medical Science, Biotechnology or its equivalent. Require at least 1 year of working experience in healthcare industry. Priority given to those who have sales experience in pathology-based companies. Required languages : Bahasa Malaysia and English. Required skills : MS Excel, MS PowerPoint, MS Word. Possesses own transportation and a valid driving license.